Hall of Gods is a progressive jackpot slot from the Swedish game developer NetEnt. It is one of the most famous of the progressiva jackpot slots online, since it has a history of paying out enormous amounts of money. There are three progressiva jackpots available on Hall of Gods: Maxi Jackpot, Midi Jackpot and Mini Jackpot. The higher you bet on a round of Hall of Gods, the larger your chance of winning a progressiva jackpot. After a payout for Maxi, this jackpot starts over again at €500,000 so there is always plenty of money to win, even if the jackpot just paid out. This is also a pooled jackpot, which means that it is fed jointly by players in all online casinos were Hall of Gods is played. Midi Jackpot starts at €5,000 and Mini Jackpot starts at €100. None of them are pooled; each online casino feed their own Midi and Mini jackpots on Hall of Gods. 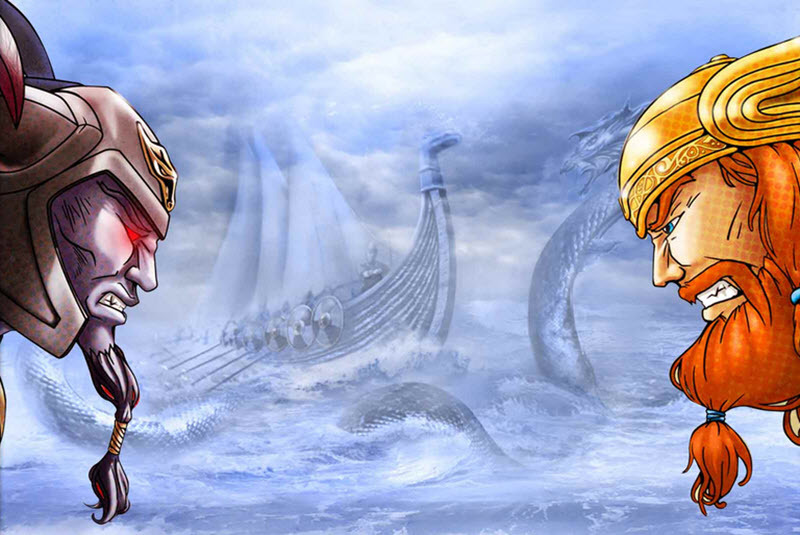 The theme for Hall of Gods is the Nordic gods and their world. The gods Oden, Thor, Freya, and Idun all appear in this slot, alongside the demigod Loki, the ravens Hugin & Munin, and the ocean-dwelling Midgard snake. The Midgard serpent is an expanding wild symbol. The serpent will slither out over the screen, making all spots next to the starting spot wild on activated paylines. Odin’s ravens Hugin and Munin are scatter symbols. If you get at least three scatter symbols, anywhere on the screen, you will recieve free spins where a 3x multiplyer will be active. It is possible to trigger new free spins during free spins, and there is no set upper limit for this. If you get at least three bonus symbols, an interactive bonus round will start where your task is to use the hammer Mjölner to crush shields. Behind the shields, various prizes are hiding. It is during this bonus round that you have a chance of winning a progressive jackpot.